A slump in demand, fall in realisation and a steady rise in costs, on the back of increase in diesel prices and freight rates, has seen ACC’s stock decline nearly 23 per cent from a 52-week high of Rs 1,515 in October 2012. 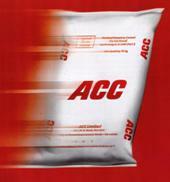 The performance of most cement companies, including ACC, is likely to be soft during the March 2013 quarter, which historically has been a strong one for the segment. Analysts at Sharekhan expect earnings for the companies under their coverage to decline 13.8 per cent year-on-year (y-o-y) on a cumulative basis. This, they believe, is due to sluggish demand and continued cost pressure. However, the decline in ACC’s stock price has been much higher than peers, which some analysts look at as an opportunity. Ravi Sodah at Elara Capital feels that after a fall of 20 per cent in three months, ACC is currently trading at a steep discount to UltraTech and its own replacement cost. The current levels and valuation present a good entry point to long-term investors, he believes. A similar opinion was given by analysts at Angel Broking, who also felt the huge valuation discount for ACC was unjustified. They add ACC’s return on equity for calendar year 2012, of 19.3 per cent, was similar to UltraTech’s FY2013 estimated RoE (in spite of the superior ratio of operating earnings to tonne of UltraTech) and is expected to improve. They expect ACC to post 8.9 per cent and 15 per cent growth in its top line and bottom line respectively, over CY2012-14. a tonne for UltraTech, as estimated by analysts. Historically, ACC has traded at a 13 per cent discount to UltraTech (based on replacement costs). The valuation gap between the two has sharply increased to 37 per cent. This has been due to ACC’s lower-than-expected margins in the December 2012 quarter. The imposition of additional royalty of one per cent (of sales) with effect from January (payable to parent company Holcim), compared to 0.5 per cent earlier, has further dampened sentiment. However, the net impact on earnings is just four per cent, based on CY13 estimates. Given the provisioning by the company in the December quarter (it follows a January to December financial year), the margins traditionally have been under stress during these three months. “The margins have typically rebounded in subsequent quarters,” Sodah adds. In the near term, ACC will also gain from firm realisations in the east, where it has a relatively larger presence compared to peers. In addition, ACC’s cost per tonne is likely to reduce in the March 2013 quarter, as staff cost and other expenses are likely to return to normal levels, says Sodah. Analysts at Credit Suisse expect cement demand to pick up. They expect demand growth of seven per cent in FY14 compared to four to five per cent in FY13, led by rural prosperity. They also prefer ACC on high profit sensitivity to price and volumes, with low exposure to west and central India. And, believe ACC trading at a discount to peers is not justified, given high returns and comparable earnings per share and compounded annual growth rates.